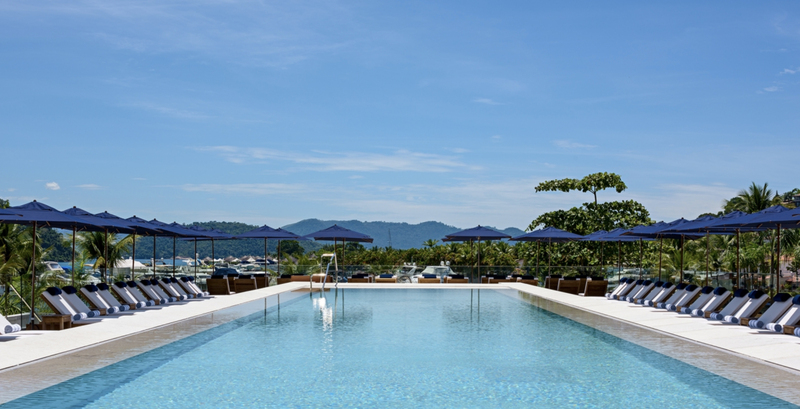 Located on the Costa Verde, this is one of the few places in the country where a Marina, a golf course, a Shopping Center, Restaurants and beautiful homes all come together surrounded by the lush green of the Atlantic Forest. With the opening forecast for the first quarter of 2017, Hotel Fasano will feature 60 ocean view rooms (some as large as 105 m²) all with a private pool that accesses an exclusive bar for guests. All of the new facilities are designed to meet the highest expectations of those in search of exclusive housing and top-flight services. Fasano’s dedication to excellence is present in every detail – from the decoration to the extraordinary vistas and the impeccable service in the restaurants located in the Hotel area. There will be two restaurants featuring the best of in dining pleasure, under the baton of restaurateur Rogerio Fasano. 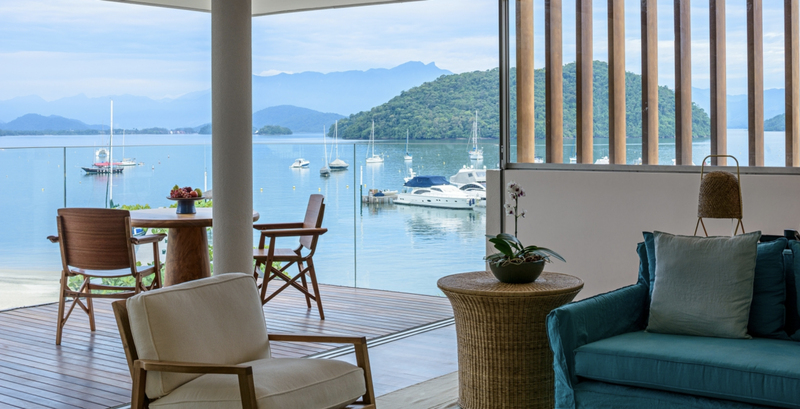 Overlooking the crystal-clear ocean waters, the Hotel Fasano Angra dos Reis is ideal for those who wish to leave the ordinary behind and relax in unparalleled comfort and refinement. Guests have the option of arriving by sea, by land or by air, with an exclusive marina with docking facilities for large craft as well as a helipad with the all of the necessary infrastructure. Se não bastasse adquirir um imóvel numa das belíssimas vilas residenciais do Frade – Maris, Acqua ou Natura –, todos os condôminos também se tornam automaticamente membros do Marea Club, o ponto de encontro mais exclusivo de Angra. Além de vivenciar uma experiência única através do conforto e da sofisticação do Frade Vilas, ele tem acesso a um novo conceito em membresia, que oferece serviços e privilégios num dos cenários mais bonitos do mundo.